Islamic marriage contracts are not usually well designed. When my sister was getting married in the summer of 2017, I couldn’t let her sign one that was typed in Word and printed on plain paper. Being a graphic designer, I wanted to do something a little more special. 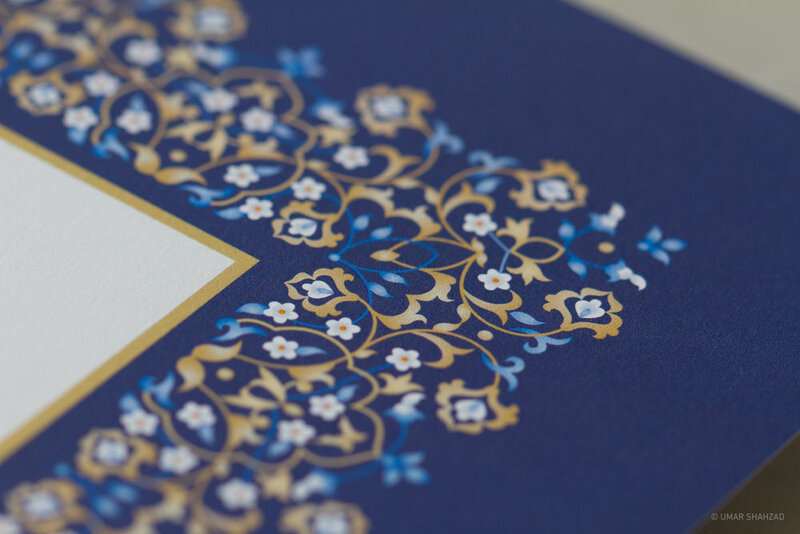 Inspired by those who have had similar ideas, and informed by the history of traditional Islamic manuscripts as well as marriage contracts across other cultures, I wanted to attempt my own approach to a rather important document. I ran the idea by her and, since she's a skilled calligrapher, asked her to write their names in Arabic (see below). 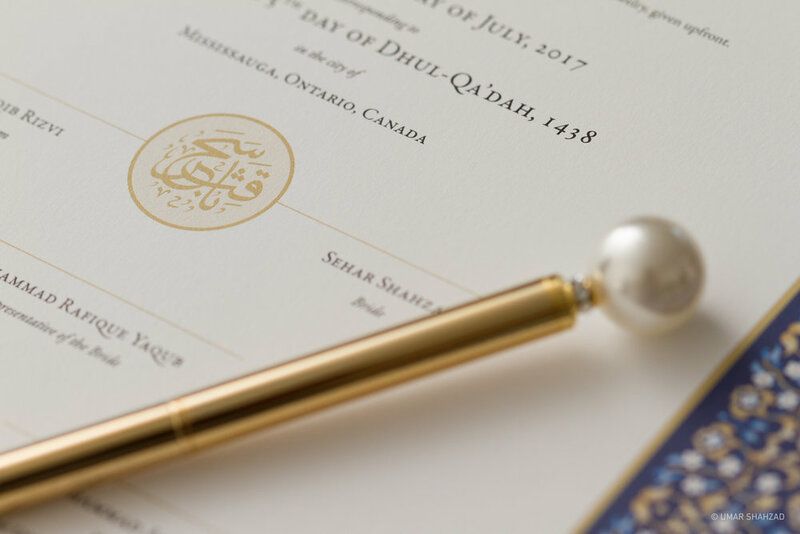 I then set out to design a certificate that they would be proud to frame and display as a memorable keepsake from their special day. The final result was a surprise for everyone and my sister was moved to tears when she saw it for the first time on her wedding day. I recently shared photos of this project on my personal Facebook profile and was astounded at the positive response it received. It went viral almost overnight, after it was featured by several major Pakistani websites. As of this writing, the project (across the various websites' Facebook pages) has a combined reach of over 12,000 likes, and thousands of comments and shares. A short video about this project currently has over 160,000 views. I am offering my services to customize this marriage certificate for others. If you or someone you know are interested, get in touch via the Contact page for a quote.